The Pronovias style is a combination of elegance, femininity and a classic proven style that enhances women's bodies. With over 50 years of experience and stores in over 100 countries, Pronovias knows how to bring out the best in each bride in a timeless way. 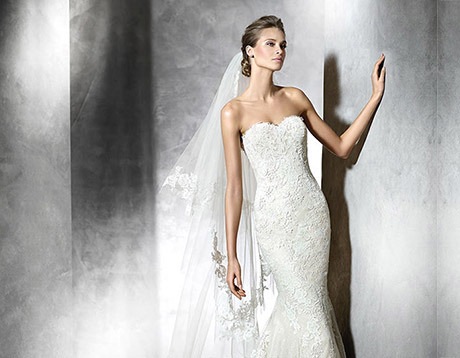 Pronovias bridal gowns are priced from $1200 to $2500.